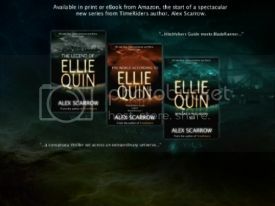 "Something wicked this way comes... She thought she'd be safe in the country, but you can't escape your own nightmares, and Lis London dreams repeatedly that someone is trying to kill her. Lis thinks she's being paranoid - after all who would want to murder her? She doesn't believe in the local legends of witchcraft. She doesn't believe that anything bad will really happen to her. You never do, do you? Not until you're alone in the woods, after dark - and a twig snaps... 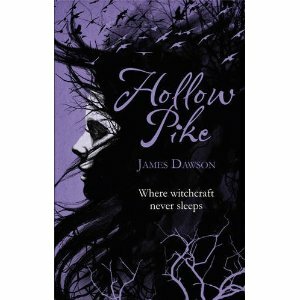 Hollow Pike - where witchcraft never sleeps." How amazing does that sound??? I've known of the book for a while and my anticipation for it has just been building and building. Really happy to say that the wait is nearly over!!!! Also James is an AWESOME person & y'all should definitely give him a follow on twitter!!!! I haven't hread of this book before. I like the sounds of it. Great pick! Thank you for sharing! My pleasure :D I'm super excited for it!!! Wow, that one looks so good! I've never heard of it, but the cover is so cool!! Great pick!